A-HOTEL.com - Luxury and cheap accommodation in Kuneyevko, Russia. Prices and hotel, apartment booking in Kuneyevko and surrounding. Квартира offers accommodation in Tolyatti, 23 km from Tolyatti Bus Station and 13 km from Tatishchev Monument. Guests staying at this apartment have access to free WiFi, a fully equipped kitchen, and a balcony. Apartment Gidrotekhnicheskaya 19 in Tolyatti provides accommodation with free WiFi, 24 km from Tolyatti Bus Station and 14 km from Tatishchev Monument. This apartment offers air-conditioned accommodation with a balcony. Located in Tolyatti, 1001 Noch Hotel boasts an à-la-carte restaurant, a games room, a 24-hour front desk and a wellness area with an indoor swimming pool and a sauna. The hotel offers en-suite accommodation with free WiFi access throughout. Квартира is located in Tolyatti, 24 km from Tolyatti Bus Station, 14 km from Tatishchev Monument, as well as 24 km from Transfiguration Cathedral. Guests staying at this apartment have access to a balcony. This country-style hotel is located in the Zhigulyovskoye More district of Tolyatti. Lovchiy Plus hotel features free Wi-Fi, shooting opportunities, quad bike and snowmobile rentals, sauna and billiards. Offering a fitness centre with a sauna and indoor pool, Don Kihot Mini-Hotel is located in Tolyatti, within 1 km of the Volga embankment. Free WiFi is featured throughout the property and private parking is available. Apartments on Lizy Chaykinoy 66 offers accommodation in Tolyatti, 20 km from Tolyatti Bus Station and 10 km from Tatishchev Monument. The property is 20 km from Transfiguration Cathedral. Apartments na Chaykinoy 71 offers accommodation in Tolyatti, 20 km from Tolyatti Bus Station and 10 km from Tatishchev Monument. Free WiFi is available in the apartment, set 20 km from Transfiguration Cathedral. Hotel Chayka offers free WiFi and rooms with air conditioning in Tolyatti. The property is set 21 km from Tolyatti Bus Station and 10 km from Tatishchev Monument. Situated 20 km from Tolyatti Bus Station, Apartments provides accommodation in Tolyatti. Free WiFi is available. Situated in Tolyatti, within 20 km of Tolyatti Bus Station and 9 km of Tatishchev Monument, Inn "Krts-919" provides a bar. The property is set 21 km from Transfiguration Cathedral. Apartments is an accommodation located in Tolyatti, 21 km from Tolyatti Bus Station and 9 km from Tatishchev Monument. This apartment is 21 km from Transfiguration Cathedral. 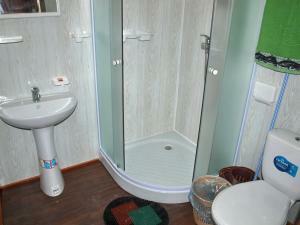 Elena Apartment offers accommodation in Tolyatti, 19 km from Tolyatti Bus Station. Guests staying at this apartment have access to a fully equipped kitchen. Situated within 28 km of Tolyatti Bus Station in Tolyatti, Villa Vosmaya Milya features accommodation with a kitchenette. Complimentary WiFi is available. Лесная Сказка in Tolyatti has 3-star accommodation with a bar. Around 28 km from Tolyatti Bus Station, the property is also 16 km away from Tatishchev Monument and offers free WiFi. Situated 31 km from Tolyatti Bus Station, Motel Vosymaya Milya in Tolyatti has a terrace. Featuring a 24-hour front desk, this property also provides guests with a children's playground. Apartment on Ulitsa Mira 117 in Tolyatti offers accommodation with free WiFi, 16 km from Tolyatti Bus Station and 9 km from Tatishchev Monument. The Transfiguration Cathedral is within 16 km of the apartment. Situated in Tolyatti, 15 km from Tolyatti Bus Station, Soyuz Inn features air-conditioned accommodation with free WiFi. This 3-star inn offers a 24-hour front desk and room service. Apartment on Golosova in Tolyatti features accommodation with free WiFi, 15 km from Tolyatti Bus Station and 8 km from Tatishchev Monument. The Transfiguration Cathedral is within 15 km of the apartment. Boasting city views, Мира 102 features accommodation with free bikes and a balcony, around 15 km from Tolyatti Bus Station. The property is 8 km from Tatishchev Monument and 15 km from Transfiguration Cathedral.